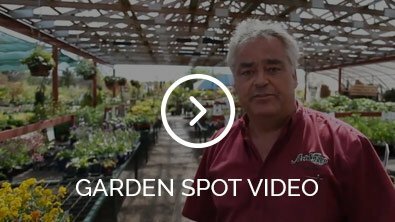 Art Knapp Garden Centre prides itself on supplying the best for those who want to guarantee they are growing something natural and chemical free. If you are looking for non-GMO seeds, racks of organic seeds, salad mixes, seed tapes, wild flower containers sprinkle for covering large areas, Art Knapps is your one-stop shop. Our vast array of seeds are available in the spring and summer for the gardener who likes to start from the beginning. Whether you’re growing flowers, vegetables or herbs we have the bulbs and seeds to get you growing. Fresh vegetables start with fresh packet seeds from Art Knapp Plantland! We have literally hundreds of varieties of seeds - and that can be overwhelming - we know. So don't panic - let our knowledgable gardeners help enlighten you on our unique varieties of herbs, vegetables, flowers and ground covers, and we'll find the right balance for your garden. We carry a large selection bulbs twice each year in spring and fall… and our bulbs are BIGGER! Come on in to see what fantastic varieties we have in store to brighten up your garden. Our bulbs are direct from Holland - and we source out the biggest bulbs with the biggest blooms. Our seeds come from high-quality West Coast Seeds, Pacific Northwest, and Burpee brands, ensuring great success in the growing months. Flowering bulbs bursting with color are a sight unlike any other. And who knew they could be so incredibly easy – just dig, drop and you’re done! Bulbs are a surprisingly simple way to beautify your life. No matter what kind of life you have, let the Dig, Drop, Done Ladies show you the way with handy tips and videos.